A heavily restored tooth is more prone to fracture than a tooth that has had no restorative work done on it. A root canal treated tooth is even more likely to break. What can be done to help preserve the natural teeth you have? Dentistry in Bolton offers several types of restorations. The dentist will determine which type of preparations is to be made on the tooth and the appropriate material indicated based on the amount of tooth structures lost due to fractures, wear on attrition and decay. Restorations can be made of all porcelain, zirconia (porcelain to metal), porcelain fused to metal, gold and semiprecious metals. Inlays fit with in the grooves of the teeth and onlays wrap up and over one or more of the cusp tips. These restorations are custom made in office or at the lab, depending on the material to restore the damaged tooth. This method is conservative because it only removes unsound tooth structure. This is stronger than the direct composite “white filling”. Two visits are required for this indirect procedure. The dentist will remove the damaged decayed or weakened portion of the tooth. Once the tooth is prepared an impression is made. A temporary filling will be placed in the tooth for about two weeks. We then cement the restoration in place. One visit can be completed with our Cerec technology…no impressions and no temporaries! See http://www.dentistryinbolton.com/?page_id=352 more information. Whether made in the office or at the lab, the restoration is crafted to fit like a “puzzle piece” into the prepared tooth. Using a camera, a computer and a milling machine. Dr. Kokonas, an area dentist, is preparing and placing natural looking ceramic filling for patients in a single office visit. The new dental components belong to a CAD/CAM (Computer Aided Design/ Computer Aided Manufacturing) instruments allows dentists to repair a damaged tooth in one visit using tooth-colored restorations or “fillings.” Dentists no longer need to take impressions or create temporaries for some cases and unlike the old procedure where patients made a second visit to insert the restoration, this procedure is done in one visit. The cerec system enables, Dr. Kokonas to satisfy patients seeking a long lasting esthetic alternative to silver or plastic fillings Veneers and partial to full crowns and all other single tooth restorations can be created by cerec. To make the restoration, Dr. Kokonas first paints a reflective powder over the prepared tooth. Using a special camera, she takes an accurate picture of the tooth. This optical impression is transferred and displayed on a color computer screen, where CAD technology is used to design the restoration. Then CAM takes over and automatically creates the restoration while the patient waits. Finally, the new restoration is bonded to the surface of the old tooth. 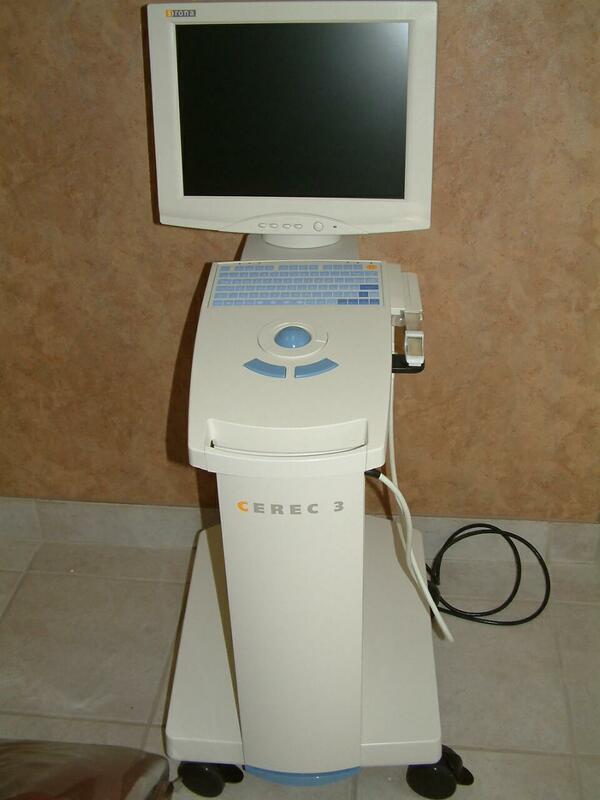 Cerec has over a decade of clinical research and documentation to support the technology. 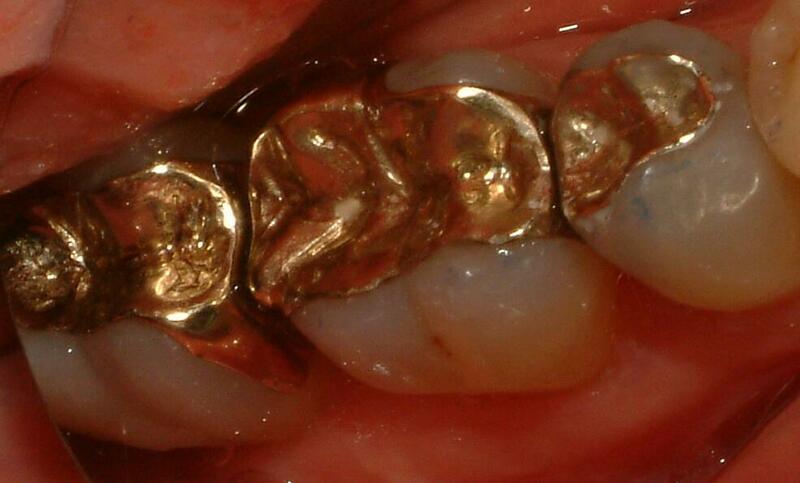 The restorations have been proven precise, safe and effective. Trips to the dentist are becoming less and less fearful, thanks to rapid innovations in dentistry. Our office is making these visits even easier and more convenient with new equipment that repairs damaged teeth in a single visit. The new tool, called CEREC, prepares and places natural-looking ceramic fillings for patients in a single office visit. No more monopolizing patients time by making them schedule two visits for lab-made crowns. CEREC uses CAD/CAM technology to design and mill precise restorations such as veneers, fillings, partial and full crowns, and all other single tooth restorations. The restorations are made from a single block of high quality, bio-compatible, anti-abrasive and plague-resistant ceramic material. What’s more, the ceramic matches the colour of the patient’s own teeth and will last anywhere from 10-15 years! 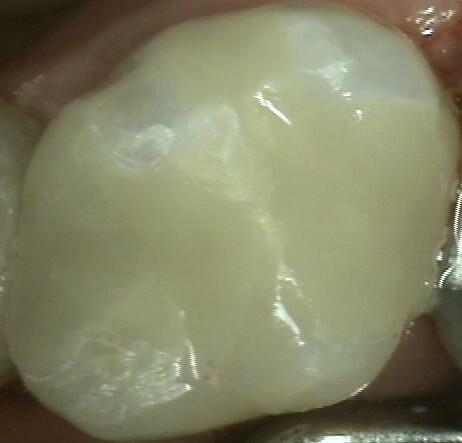 First, the tooth is prepared by removing any previous restorations or decay. 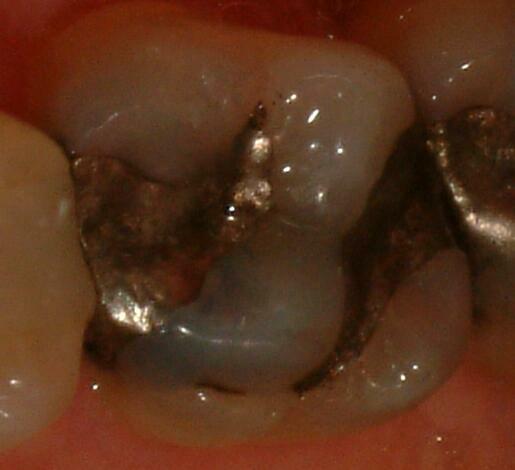 A thin layer of reflective powder is then applied directly on the tooth’s surface. Using a special camera, a picture is taken of the tooth. This photo is a pen-sharp optical impression of the tooth and is used to create a beautiful ceramic restoration. Computer Aided Design technology helps design the restoration from the optical impression. You can actually observe us design your new restoration right before your eyes! A high-speed diamond bur and a disc work together simultaneously to mill the restoration out of a solid block of ceramic material. Finally, the newly milled restoration is bonded to the tooth using state-of -the-art adhesive dental materials. Over a decade of clinical research and experience supports the CEREC technology. User input and research have helped the manufacturer improve the product during this time. Dentists have preformed over four million restorations worldwide and proved to be very successful.